Our Pentecost season journey began a month ago at Matthew’s 10th chapter. And after leading us on a methodical, three-week tour of Matthew 10, our lectionary suddenly jumps clear over a big chunk of the 11th chapter and lands us on the last five verses. 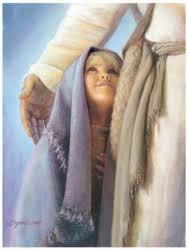 And He INSTRUCTS them that not everyone will receive them like LITTLE CHILDREN. In fact, most will not. And now we read, “he went on from there to teach and preach in their cities.” Now Jesus Himself begins to travel and teach and preach. And what follows is a series of examples of how NOT TO the KINGDOM OF GOD when it comes to you. And then Jesus scolds the crowds for rejecting John the Baptist and not heeding his call to repent and be baptized. He wasn’t IMPRESSIVE enough. He didn’t meet their EXPECTATIONS. They didn’t LIKE what he had to say. Look at verse 12 – “From the days of John the Baptist until now the kingdom of heaven has suffered violence, and the violent take it by force.” That sure doesn’t sound like the ‘children’ that Jesus said would “enter the kingdom of heaven,” does it? Then in verses 20-24, Matthew shows us that it was the same story for entire cities such as Chorazin, Bethsaida and Capernaum – which happen to be the very CITIES that Jesus “traveled to” and spent so much time and did so many of His miracles. But the response was so disappointing. They were impressed with His preaching and they lined up for His healing and miracles. But when it actually came to His call to REPENT – they wanted nothing to do with Him. This is certainly not to say that no one believed or that no one gave up on themselves and pinned all their hope on Jesus. But most thought it was a far too dangerous or unreasonable thing to do. The point is, things were not going well for the “Jesus movement” – at least not according to our criteria of SUCCESSFUL. And maybe the disciples are beginning to wonder and have some doubts. And maybe we’ve had similar doubts ourselves. Maybe we need to ‘jazz it up’ a bit or ‘lighten up on the sin talk’ just to get people in the door. Then we can give them the real stuff. And this brings us to our assigned stop in Matthew’s 11th chapter. The Father is in complete charge of “HEAVEN AND EARTH.” And He is carrying out His perfect plan for the salvation of His creation perfectly through His Son, Jesus Christ. But God’s ways are not our ways and His thoughts are not our thoughts. And the ‘wise and the understanding’ who think they’ve got God all figured out and under control – have actually got it all wrong. But those who, like ‘little children’ SIMPLY TRUST IN HIS WORD as “dear children trust in their dear father…” because they know that He loves them – they get it. When Dad says, ‘we’re going on a trip, get in the car,’ they don’t know where they’re going or how long they’ll be gone. They only know that Dad is driving, and that’s enough for them. “Yes, Father, for such was your gracious will.” It’s the Father’s GRACIOUS WILL that we should trust and believe and follow Him – solely by faith – like little children. But we can’t actually see the Father – and sometimes that becomes a problem for us. It was a problem for one of the 12. Philipp said, ‘Lord, show us the Father and it is enough for us,’ (John 14:8). The “wise and understanding” call this kind of talk – ‘blasphemous,’ and eventually become Mormons. But “little children” have no trouble with this. So, it’s really to all of the ‘wise and understanding’ fools who reject Him that Jesus extends this incredibly gracious invitation – “Come to me, all who labor and are heavy laden, and I will give you rest. •	or a FUTURE in which there appears to be no hope. And all the time Jesus Christ is right there, pleading with us – come to me – REPENT AND BELIEVE – “How often I have longed to gather you as a hen gathers her chicks…” but you would not – because you’re too WISE for such FOOLISHNESS. Too PROUD for such LOWLINESS. Too SELF-CONFIDENT for such HUMILITY. Let that little word ALL stand out. “Come to me, ALL who labor and are heavy laden, and I will give you rest.” The relief you’re seeking for is right in front of your ears. His YOKE of course is His plea to TRUST ME. WALK WITH ME. FOLLOW ME. “Learn from me…” He says. He is inviting you to be His disciple. Even as He “instructed them…” He is “instructing” you. “Learning” comes first from watching and then by doing. WATCH how He humbles Himself in complete and perfect trust in His Father, never doubting that the Father loves Him perfectly – and takes up His cross. It may sound COUNTER-PRODUCTIVE for Jesus to offer you REST by telling you to “take His yoke upon you.” But His YOKE is not like the one that you are carrying. His is “light and easy” – which is really no YOKE at all. With HIS YOKE, it’s Him who does all the heavy lifting. •	His YOKE is real REST from the burden of carrying your yoke of guilt – for He has taken all of your guilt upon Himself and atoned for it all in His own body – and you are forgiven all of your sins. •	His YOKE is real REST from the constant demands of the law and the living up to every expectation that is piled high on you by others and by your own conscience – for He has baptized you into His family and given you His own name and all that is His is now yours. God hides the mysteries of the “kingdom of heaven” from the “wise and understanding” under these “gentle and lowly” means of grace. He “reveals them to little children” who shame the wise understanding by finding His incomparable REST FOR THEIR SOUL in them. We’ll spend our whole life “learning from Him” – always engaged in what Paul calls, that “war” that goes on in our “inner being” between the WISE AND UNDERSTANDING adult in us and the naïve and trusting LITTLE CHILD in us. The one always trying to put on that YOKE OF SLAVERY again. The other always striving to LIVE BY FAITH in Jesus.